As we pack everything up to head out of town to Quilt Market in Houston we thought we would share with you our passion for organic fabric and green living. Birch Fabrics are committed to providing an environmentally friendly alternative to the quilting and crafting community. We believe that the sustainability of our planet begins with raised awareness, information and above all else action. textile supply chain. Our mill is certified by the GOTS. And why do we use it? There are other certifications of organic cotton but we choose to use GOTS certified fabric because it is the most comprehensive and highest standard for fabric creation from seed to printed cotton. You can check out this nifty video to learn more about GOTS…its really quite interesting. of the largest pesticide dependent crops in the world. Conventional grow cotton accounts for more than 25% of worldwide insecticide use and 10% of the pesticides. Pesticides used on cotton are among the most hazardous. surface water and kill beneficial insects and soil micro-organisms. We could go on and on about the challenges we face as a global community if we don’t continue to explore, accept and use alternatives for conventionally grown cotton. 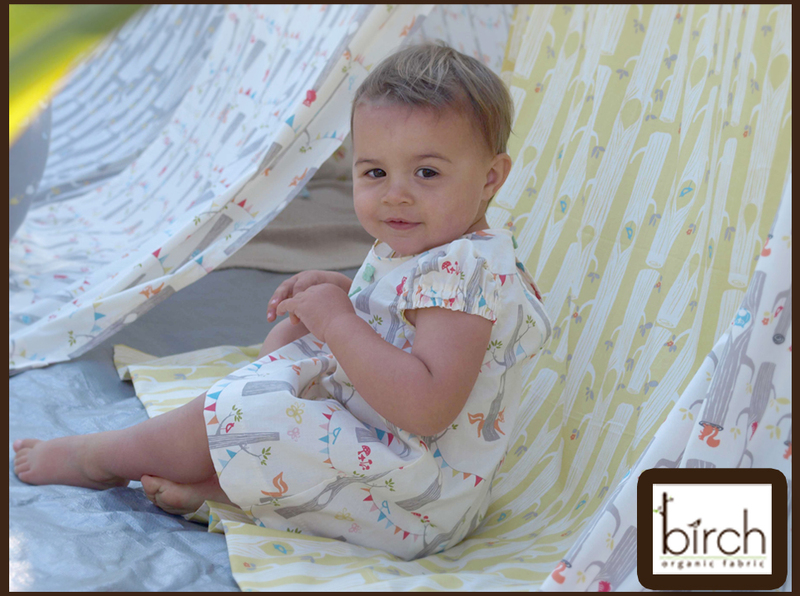 We hope in some small way Birch Fabrics can add some “green” to the world one yard at a time. I just found your fabric (thanks to Dana @ MADE!) and it is amazing! I'm wondering what pattern the dress above is made from? It is so sweet!